Instructors: Download this exercise and the solutions at the end of this post. When a pronoun is used to refer to a noun, the noun is called an antecedent. 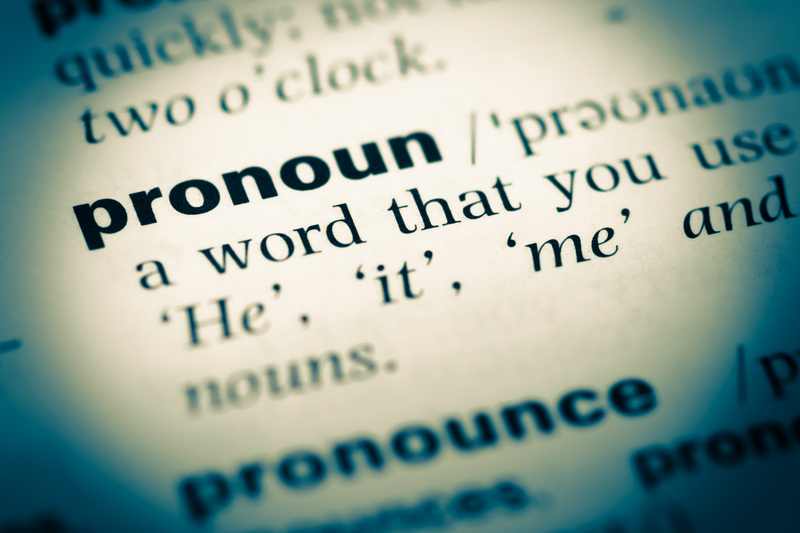 Pronouns agree with antecedents when both are singular or plural. Singular: The student turned in her paper. Student, a singular antecedent, agrees with her, a singular pronoun. Plural: The students turned in their papers. Students, a plural antecedent, agrees with their, a plural pronoun. To match antecedents to nouns, first determine which antecedent a pronoun refers to. Then make sure both pronoun and antecedent are singular or plural. In the case of collective nouns such as jury,class, or audience,consider the noun singular as long as the group acts as a unit. Because today’s usage prefers gender-agnostic writing, good writers avoid using hewhen the antecedent could be either male or female. Likewise, using he/sheas a singular pronoun is frowned upon because it’s a clunky construction. Sentences with faulty pronoun-antecedent agreement are best corrected by changing a singular antecedent to a plural. This means that in some cases, sentences work better when they are rewritten to avoid agreement problems. Instructions: Underline the pronouns and their antecedents. Then rewrite the sentence so pronoun and antecedent agree. If the sentence is correct, mark a “C” next to it. If someone smokes, they are at risk for contracting lung cancer. Every dog owner likes to think their dog is the smartest. The jury reached their decision after deliberating only one hour. Whenever a professor gives a lecture, he should prepare ahead of time. Gardeners frequently use their own trucks. A contractor who never arrives on time leaves their clients unhappy. When someone is looking for an apartment to rent, they should check rentals.com. Each cast member in the play knew their lines by heart. No one knows when they will die. Each of my parents has their own checking account. Many coffee shops often sell pastries to its customers. A homeowner has to pay his taxes on time or face severe penalties. A parent likes to make sure his or her child is safe even when the child has become an adult. The audience showed their appreciation for the play with a standing ovation. Anyone who gets an “A” in the class should share their study techniques. This entry was posted in 4. Classroom Exercises on February 5, 2019 by bizcombuzz.